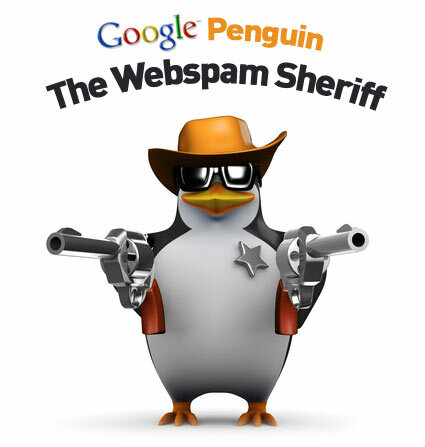 Google Penguin Got You Down? Receiving links from “irrelevant websites” can hurt you…and hurt you bad. Google now wants to see links coming from websites and web pages that are related to your website. If you are an attorney, you ideally want links for other legal related websites and web pages – not from Viagra sites and unrelated blogs. Getting relevant links is nothing new but now getting penalized for having bad links really is. Having good anchor text in a link has always been a good way to send signals to Google as to what the linked to page is all about and how to rank it for that term. The problem is that too much of a good thing looks unnatural to Google and they will now penalize you for it. WHAT TO DO: Diversify the anchor text from your inbound links. Use a number of keyword variations and no keywords (eg your URL address) in some of your links as well. If a link’s anchor text reads “personal injury attorney”, it is best to have the anchor text on a website, blog and page that also makes mention of those same keywords in the text and tags. Far too many law firms get hung up on ranking at the top for one or more specific search terms. This is certainly not a bad thing but it does come at the expense of where the majority of your traffic will come from: long tail search terms. Long tail search terms tend to be more case specific searches and commonly lead to higher conversions. These are also searches were you don’t typically see Google Places listings along with the organic search results which allows you to better compete outside of the Google Places envelope in which you reside. WHAT TO DO: Diversify the optimization and keywords used in your title tags, H tags, and content on each page. They should read natural and not like a broken record. Unique content means more than just passing a copyscape test. Building unique content means creating unique content value that can be measured in natural inbound links, page views and citations from social media and other sources. Creating your own content and controlling those content locations have become even more important. Clearly it is effective to generate authority from relevant sources and the best way to do this is by creating and controlling your own by adding additional relevant websites, blogs, social media etc. If you have seen a significant drop off in your website traffic since April 2012, the first place you need look is at your link building. In many cases, rogue link building that took place months and even years ago can now come back to bite you. Run a link analysis on your website and try to clean up all the bad links coming in. This will not be the last Penguin update so be prepared for more changes and gyrations in the months and years ahead. Clearly Google made some mistakes in this current release and as always, they will continue to tweet and tune as they move forward. Remember, Google makes their money by selling advertising, not in helping you understand why they intentionally keep you guessing. Marketing anything online has be difficult depending upon your niche. Your suggestion for attorneys is right on! Google penguin update hit a lot of websites however our points to recover from this hit are very effective specially i like your point regarding anchor text from inbound links and now i am using variation of keywords to get backlinks and i hope it will help me. Excellent stuff. Yeah after Penguin update Google has made strict guidelines for Link building. Using the same anchor text may penalize your site. Thanks so much for this! I haven't been this thrilled by a post for a long time! You have got it, whatever that means in blogging. Anyway, You're certainly somebody that has something to say that people should hear. Keep up the good work. Keep on inspiring the people! Nice post. Many thanks for sharing this. Building too many links with same anchor text may hurt your site.